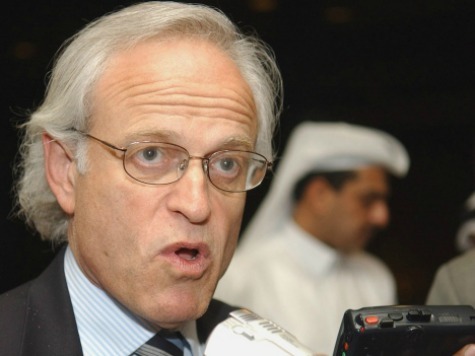 Disgraced former Israel-Palestine negotiator Martin Indyk, who served in his position just prior to the outbreak of a 50-day war between Israel and Hamas, reportedly has cashed a $14.8 million dollar check from the government of Qatar recently. Qatar is known to be a fierce enemy of Israel and a staunch supporter of Hamas and the Muslim Brotherhood. Many in Israel and Egypt have called out Qatar for fanning the flames of war in the Middle East. While serving as chief negotiator, Indyk was accused of deliberately planting anti-Israel stories in the press in an attempt to undermine Israel’s position in peace talks with the Palestinians. In June, Indyk quit his role as chief negotiator. By then, negotiations had completely broken down, and the Muslim Brotherhood terror group Hamas had been firing indiscriminate rocket fire at Israel’s population centers. Only one week following Indyk’s departure from his failed effort, Israel was forced to commence a full-scale military operation to defend itself from the terror entity in the Gaza Strip. Prior to the finding that Indyk has been largely financed by the Qataris, some have chalked up Indyk’s incessant animosity towards Israel to a personal rift with Prime Minister Benjamin Netanyahu. Indyk took the $14.8 million dollars in his position as vice president and director of the foreign policy program at the Brookings Institution, a left-wing think-tank in Washington, D.C., Yair Rosenberg of Tablet magazine reports. In early September, Breitbart News, reported the left-wing institution’s cozy relationship with the Gulf State. Brookings’ William McCants recently tried to paint Qatar as a victim of unfair criticism, calling Doha “everyone’s favorite boogeyman.” He added, “Criticism of Qatar for funding Islamists should exclude the Islamic State.” However, McCants failed to acknowledge Qatar as the think tank’s foremost foreign backer. A day after the Breitbart report, The New York Times exposed Brookings for taking massive sums from the Qatari regime. Some international leaders have accused Qatar of being one of the chief financiers of jihadi terrorist operations.